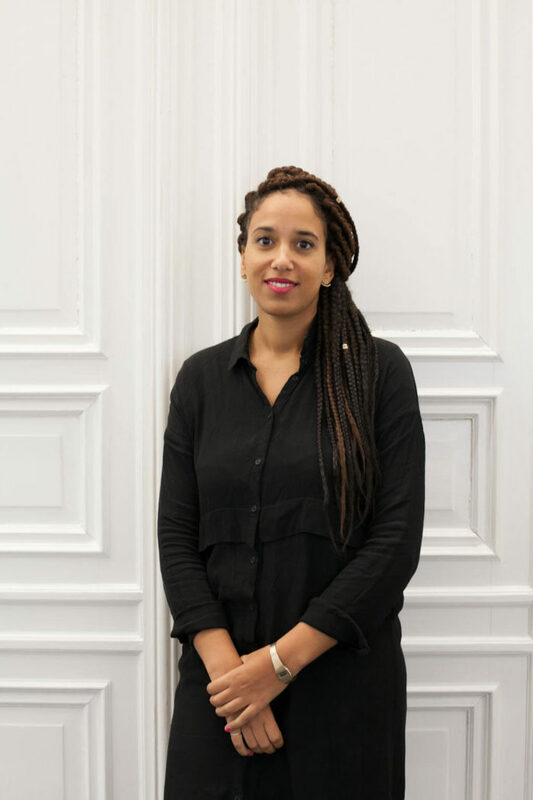 Yvette Mutumba is co-founder and editor in chief of the magazines Contemporary And (C&) and the Contemporary And America Latina (C& AL), published in English, in German, and French by the ifa, Institut für Auslandsbeziehungen. The two newspapers are available on line, and present the news of contemporary art and cultural artistic scenes in Africa, Latin America, Caribbean and their diasporas. They suggest interviews, exhibitions critique, essays that make important voices heard and cross position statements of artists from the African and south-American continents. Yvette Mutumba teaches in the Fine Arts University of Berlin. In 2018, she was one of the curators of the 10th Berlin Biennale for contemporary art. Elle a enseigné comme professeure invitée à la chaire “Discours globaux” à l’Ecole supérieure des médias de Cologne de 2017 à 2018. She has taught as invited professor at the chair “Global Speeches” at the Ecole supérieure des médias in Cologne from 2017 to 2018. From 2012 to 2016, she was a curator at the Weltkulturen Museum in Frankfurt, where she conceived the exhibitions Ware und Wissen – or the stories you wouldn’t tell a stranger (2014-2015), El Hady Sy: Paintings, Performances, Politics (2015) and A Labour of Love (Frankfurt and Johannesburg). In 2016, she was nominated for the “Global Fine Arts Award”. During the same year, she was co-curator of the Focus African Perspectives for the Amory Show in New York. Yvette Mutumba is a graduate in history of arts, at the Freie Universität Berlin. She obtained her doctorate at the Birkbeck, University of London, on the (re)presentations of the African contemporary art in Germany (1960-2011). She is the author and editor of several books and articles on the global history of art and on contemporary art, tackled from different perspectives.